Are you a Xbox One gamer? Did you know that you can use a Xbox One controller to play video games on your computer? All you need is a micro-USB cable and a PC running Windows 7, Windows 8.1, or Windows 10. Simply plug in the controller and install Widows 10 Xbox One controller drive. You can also connect a Xbox One controller wireless as you would use it in a Xbox gaming system. But if you are exclusively using it for PC video games, then it must be connected through a micro-USB cable to your PC USB port. In this article, I will explain how to install Xbox One controller drive for all three versions of Windows mentioned above. Before you connect your Xbox One controller, it must be updated to latest software. It solves most of the major problems concerning drivers not installed properly. It will also help to improve the controller and wireless headset adapter capabilities. 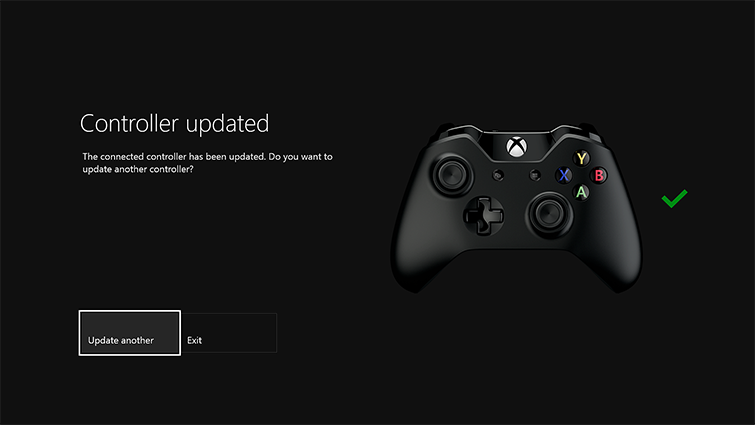 You can easily update your Xbox One controller software by following the steps below. If prompted, Update the console system. Then select Devices & Accessories. Select the controller you want to update and click Update. Above process will updated your Xbox One controller to the latest software. Now lets talk about how to install Windows Xbox One controller drive. If you are running Windows 10 on your PC, you are in luck. Microsoft already has built in drivers to use with your Xbox One controller. Plus they should be automatically updated. Simply plugin the controller via a micro-USB cable and you are set. Most Windows PCs are set by default to download and install the latest hardware drivers automatically. Plugin your Xbox One controller and watch it install the necessary drivers automatically. You can also install the Windows Xbox One drivers manually. 1. Update Xbox One Controller Driver Through Device Manager. Open up Windows Menu (Windows Key + X). Search for Device Manager and Open. Click on Microsoft Xbox One Controller. 2. Download and Install Xbox One Controller Driver Manually. Follow the steps below to download and update Windows Xbox One controller driver manually. Go to Xbox One Controller search page. Select Microsoft>Other hardware>Microsoft Xbox One Controller. Select the matching drivers for your PC and click Add to Basket. Go to your Basket and select Download. expand -f:* Update-Name.cab Destination-Folder (Replace Update-Name with the name of the CAB file, and Destination-Folder with the path to the update folder). Now open up the Update Folder above and right-click the file xb1usb.inf. select Install, and select Yes. Above process will install Windows 10 Xbox One controller drive (Or Windows 7 and 8.1). If you having problems, try using a different micro-USB cable. After using your Xbox One controller with a PC, don’t forget to re-sync it to connect back to the Xbox One Console.